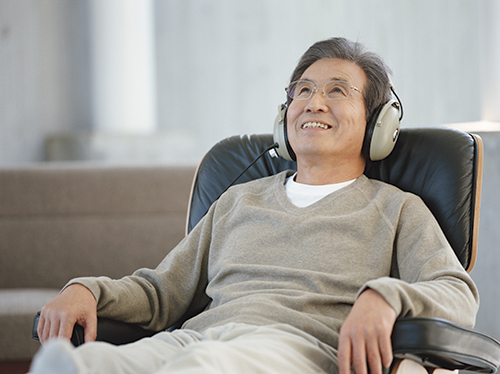 Researchers from the Ohio State University Wexner Medical Center found that listening to music can significantly increase brainwave activity levels. Since epileptic brains react to music differently from the brains of people who don’t have the disorder, this finding could potentially lead to new therapies to prevent seizures. The research was recently presented at the American Psychological Association’s 123rd Annual Convention in Toronto, Canada. About 60% of epilepsy patients have temporal lobe epilepsy. It is a condition where seizures originate in the brain’s temporal lobe, which is important for short-term memory and processing emotions. For their study, researchers observed the effect of music on epileptic brains since music is processed in the auditory cortex of the temporal lobe. Researchers collected data between September 2012 and May 2014 at the Ohio State University Wexner Medical Center from 21 patients in the epilepsy-monitoring unit. An electroencephalogram (EEG) was used to test how people with or without epilepsy processed music. An EEG is a device used to detect and record brain electrical activity. Researchers recorded brainwave patterns while patients listened to 10 minutes of complete silence followed by musical pieces: John Coltrane’s version of My Favorite Things or Mozart’s Sonata in D Major, Andante Movement II (K448). There was another 10 minutes of silence, followed by a second musical piece, and a third 10-minute silent period. Some participants listened to Coltrane first, while others listened to Mozart first. Either way—the music triggered much higher brainwave activity levels. The researchers concluded that although music can’t replace epilepsy treatments, it could help prevent seizures in those with epilepsy or complement conventional treatment. “Can Music Help People With Epilepsy?” American Psychological Association web site, Aug. 9, 2015; http://www.apa.org/news/press/releases/2015/08/music-epilepsy.aspx. “Can music help people with epilepsy?” ScienceDaily web site, Aug. 9, 2015; http://www.sciencedaily.com/releases/2015/08/150809092837.htm. “Temporal Lobe Epilepsy,” Epilepsy Foundation web site; http://www.epilepsy.com/learn/types-epilepsy-syndromes/temporal-lobe-epilepsy, last accessed Aug. 20, 2015.